Why does getting into reading seem so hard? What keeps people from reading? There are so many excuses as to why people say they can't read or why they don't want to read that I could sit here all day listing them all. What people don't realize is that the vast majority of reasons for not reading end up being false. For me personally, I think the single biggest reason why people don't read books on a daily basis is because it's looked at as a chore. The reality is that reading is not as bad as what your education system has lead you to believe. I will talk about why reading is worthwhile and teach you how I manage to go to school, work, and still read at least a book a week. For a lot of people reading just seems like extra work that they don't need in their lives. I believe this idea to be a direct result of our education system. In school we rarely ever, if ever, got to decide the books we were "told" to read. Assignments were based on those books. We weren't reading for enjoyment. We were reading because we were being forced to. Not to mention that, if it was a book you didn't particularly care for, you had to struggle through it the entire time. That's not how reading was meant to be. The amount of information you can learn from books is limitless. The problem with reading in school is that you are not in control of your learning and therefore will only learn so much. For reading to be worthwhile you need to be in control of what you want to learn in order to get the most out of reading. When you are in control of what you are reading and learning then reading becomes less of a chore and more enjoyable. All of that is not to say that reading the classics is a bad thing. I think everyone should be at least somewhat well versed in classic literature. The only difference is that you shouldn't have to read it just for a grade. Let me start out by saying that some people will find that a book a week is not an ambitious goal. On the other hand some people will believe that a book a week is not obtainable given their schedule. It is up to you to find out where you fit on that scale. Some of these points may not apply to you but bear with me. 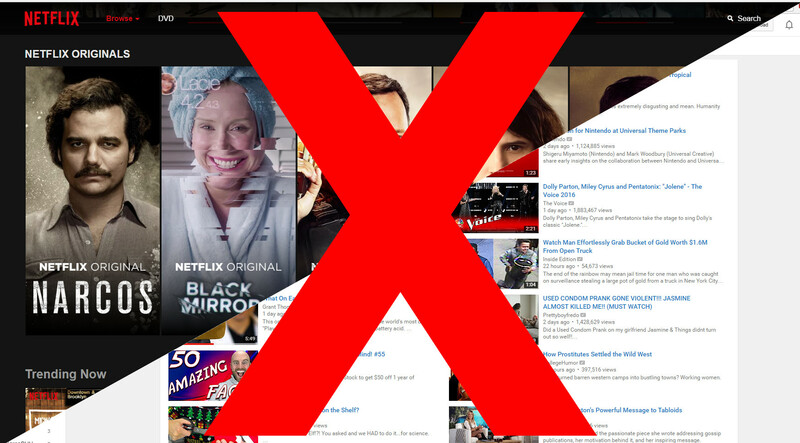 Netflix and YouTube: Netflix and YouTube are great, but odds are they are consuming you. According to YouTube, "On mobile, the average viewing session is now more than 40 minutes." That's 40 minutes, give or take that could be used reading something useful instead. Netflix users stream an average of 43 minutes per session which equates to a one hour TV show without commercials. That is a good chunk of time that could be used to "invest in your brain". I'm not saying cut it out all together, just sit a YouTube or Netflix session out once or twice a week and devote it to reading. Your brain and future self will thank you. Wasted Time: So much time throughout our day is wasted which could be turned into valuable time. Anytime spent waiting is a perfect opportunity to get some reading done. For instance, I got to a movie earlier than I expected so while I waited for the movie to start I read, "Managing Oneself, by Peter Drucker," which I had in my coat pocket (I highly recommend that book by the way). Keep a book in your car, purse, or jacket. You will likely begin to see just how much time in a day gets wasted, waiting on friends, waiting for a doctor's appointment, waiting to pick up your kids from school or soccer practice, the list goes on. Now that smartphones have e-reader apps, we can't use the excuse that we didn't have a book with us. Although, I have to say, I hate e-readers. I much prefer having a physical copy of a book, but your opinion may differ. Try to limit the amount of time in your day that would have otherwise been wasted, by reading a book to pass the time. Read in chunks: Don't read for hours on end. For one, who has time for that. If you are one of those people that have the time and can read for hours on end then good for you. For the rest of us, it's better to split up the reading into chunks. This makes it psychologically easier to finish a book, especially if it's a lengthy one. Starting a long book can be discouraging, but splitting it up makes it seem much more manageable. Not to mention, reading a book in chunks makes you more likely to retain the information than if you read for hours similar to "cramming" for a final exam. Basically, take it a chapter at a time (Or less. Some books have really long chapters). Get past the first chapter: Studies have shown that those who read past the first chapter are likely to finish that book. That seems like common sense, but there are a lot of people who stop after the first chapter. If you don't like the book you are reading though, don't feel like you have to read it. Like I said earlier, if you feel like you are struggling to get through a book then don't bother reading it, because you will get nothing out of it. 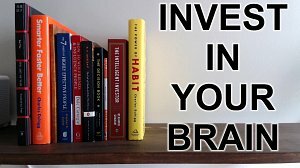 Look at it as an investment: The time you are taking to read is simply you investing in your brain. You are literally making yourself better by doing something meaningful. When you look at reading as an investment it starts to become more appealing. Another nerdy way I like to look at it is that each time you finish a book, you are leveling up in whatever that particular book may pertain to. Each book you finish should feel like an achievement, because in essence it is. The feeling you will get is the reward for going out of your way to invest in your brain. JUST START READING! : This may be the best tip of all. Whether you want to believe it or not, reading is contagious. Once you start reading, a snowball effect will occur, and you will find yourself wanting to read more and more. As with most things in life however, the hardest part is getting started. But I promise you, once you start it will be smooth sailing. The more and more you find yourself reading the easier it will get. So at this point you may feel like that was a lot to take in or maybe it was a little too drawn out. I'm going to condense it for you. - School has probably deterred you from reading when reading is actually enjoyable. - You have time to read whether you realize it or not. - Don't try to read an entire book or a large part of a book in one sitting. - Read before you go to bed. It will help you sleep. - Reading is an investment for your brain. If you value yourself then let your brain reach it's full potential. So many people give excuses as to why they can't or simply don't read. Some of those excuses are legitimate, while others have been fabricated in our minds over the years. Over 50% of NASA employees are dyslexic, so it becomes harder to justify that as an excuse (That's not to say that it won't be more challenging though). Did you know that according to statisticbrain.com, 42% of college students will never read another book after they graduate. What that amounts to is an astounding amount of untapped potential that is going to waste. Don't let your brain got to waste.